Apollo High School (Owensboro), "East Nest Spirit Store"
School store sells spirit novelties, and apparel items. 1-Mobile (Tablet) POS Station. Campbell County High School (Alexandria), "Pride Store"
Fern Creek High School (Louisville), "Tiger Town Mall"
Franklin County High School (Frankfort), "The Flyer Connection"
Frederick Douglass High School (Lexington), "The Stable"
School store sells snacks, beverages, spirit novelties, and custom apparel items. 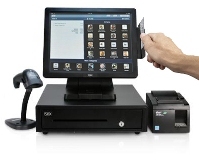 1-POS Touch Laptop, Mobile Station. Gateway Academy High School (Hopkinsville), "The Gateway Store"
Graves County High School (Mayfield), "Eagles Unlimited"
Henderson County High School (Henderson), "The Marketplace"
Hopkins County High School (Madisonville), "The Storm Center"
Jessamine Career Center (Nicholasville), "JCTC Snack Shack"
Johnson Central High School (Paintsville), "The Eagles Nest"
Lafayette High School (Lexington), "The General Store"
School store sells snacks, beverages, spirit novelties, and custom apparel items. 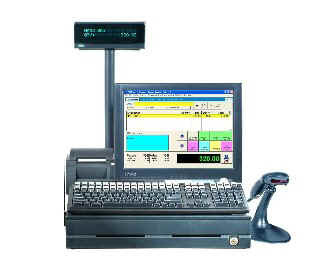 1-POS Mobile (Touch-Laptop) Station. Madisonville-North Hopkins High School (Madisonville), "Maroon Mart"
McCreary Central High School (Stearns), "The Raiders Den"
Pleasure Ridge High School (Louisville), "The Panther Pit"
Southern High School (Louisville), "Southern High School"
students our using our NEW PRM Touch-Screen with a dual customer monitor. Tates Creek High School (Maroon Mart), "Commodore Corner"
Taylor County High School (Campbellsville), "Cardinal Kroger"
The Academy @ Shawnee (Louisville), "Eagles Cafe"